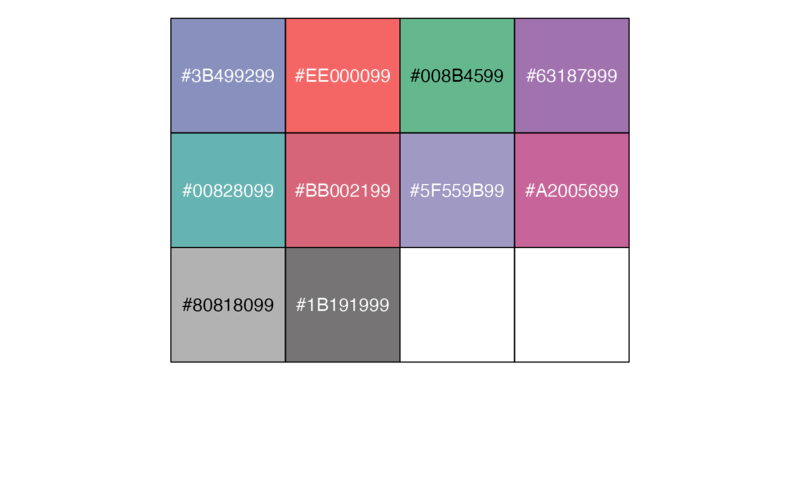 Color palettes inspired by plots in journals published by American Association for the Advancement of Science (AAAS), such as Science and Science Translational Medicine. Palette type. Currently there is one available option: "default" (10-color palette inspired by Science).